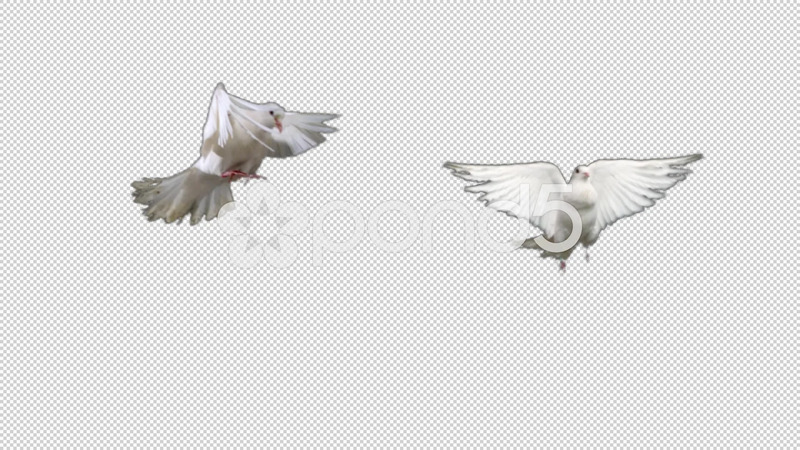 Description: Two white doves. Slow motion, alpha matte. Ready for compositing. Good for wedding backgrounds or titles.